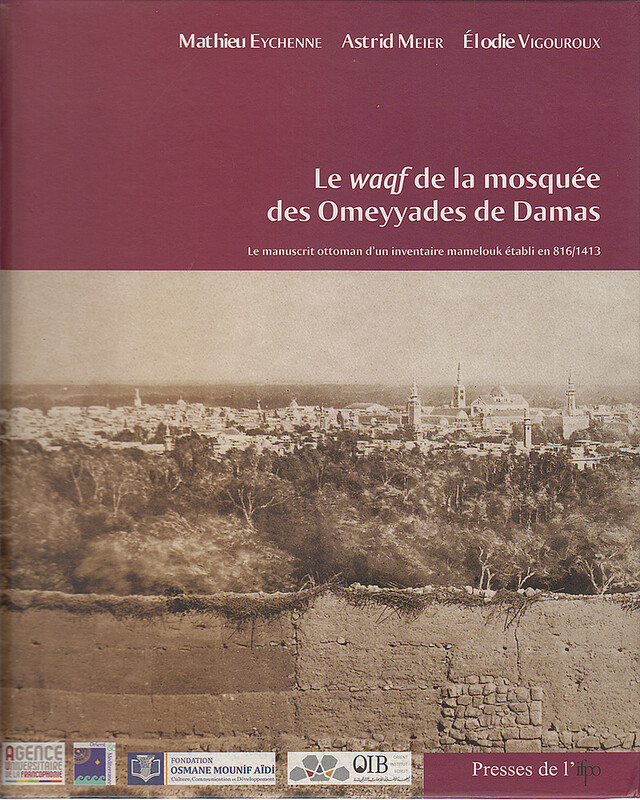 Le waqf de la mosquée des Omeyyades de Damas. Le manuscrit ottoman d’un inventaire mamelouk établi en 816/1413, PIFD 292, Beirut/Damascus 2018. 744 pp, illustrations, maps, figures, plates and 2 fold-outs. The Umayyad Mosque of Damascus was both the emblematic monument of the city and a principal driver of its economic life. By the end of the medieval period, it had established a dense network of links with the city and the surrounding agricultural lands. The manuscript which this volume presents was written in 1518, two years after the Ottoman conquest of Bilād al-Shām. It contains a list of the urban and rural properties belonging to the waqf of the Mosque, established in 1413. 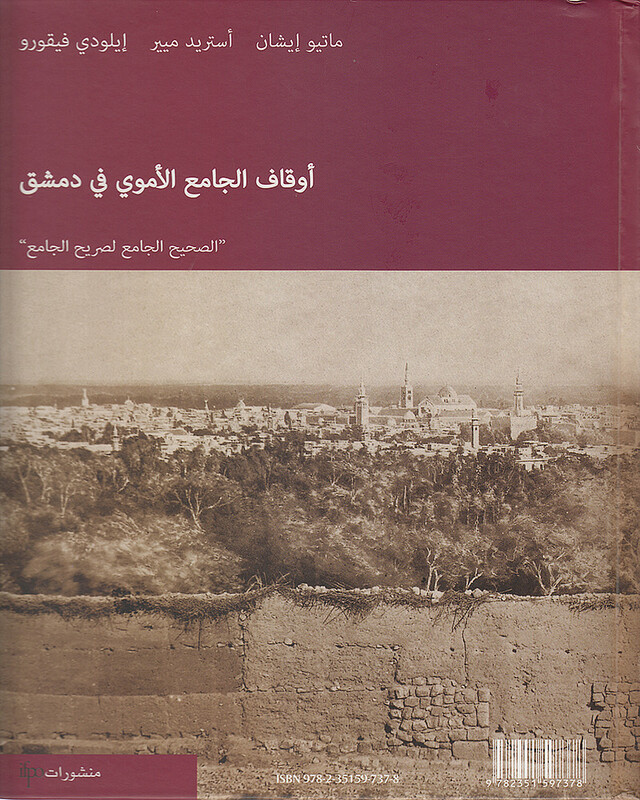 In addition to the edition and translation of this inventory, the authors propose a new study of the topography and toponymy of the city and the Ghouta, its surrounding oasis, shortly after its occupation by the troops of Timur Lang in 1401. They provide an analysis of Mamluk and Ottoman notarial and juridical practices, and by examining the geographical distribution of the landed properties, they delve into the implications of the symbiotic relationship between Damascus and its rural territories. The manuscript published here renders accessible to a wider audience a major source for the first time.